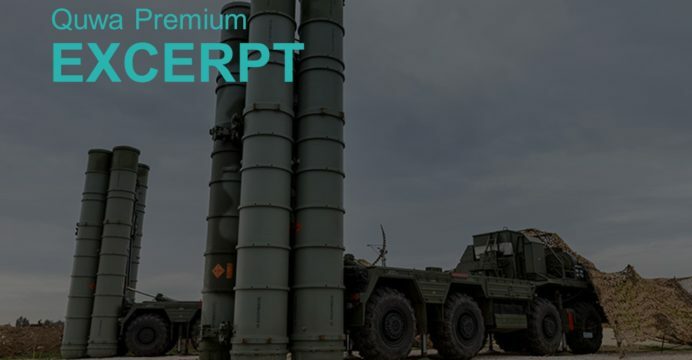 On 05 October, New Delhi inked a $5.5 billion US contract with Russia’s Rosoboronexport for the purchase of Almaz-Antey S-400 Triumf long-range surface-to-air missile (SAM) systems. The purchase comes in the midst of Washington passing the Countering America’s Adversaries Through Sanctions Act (CAATSA), new legislation aimed at curbing Russia by restricting US allies from purchasing major Russian goods, notably armaments and natural resources. Nonetheless, citing its strategic interests New Delhi greenlit the deal. There are at least three major issues to consider when examining this purchase. First, the impact of the S-400 on Pakistan, especially in terms of how it will influence (and, in all likelihood, constrain) its offensive capabilities. Second, how Washington will navigate its bilateral relations with India in light of New Delhi’s long-established, and strategically important, relationship with Moscow. Third, the S-400’s emergence as a popular big-ticket export item for Moscow, one that is seeing countries – which would otherwise adhere to CAATSA – pursue the system, despite its high price tag and the risk of repercussions from the US. In October 2016, India and Russia signed an intergovernmental agreement (IGA) to finalize the S-400. The deal, once finalized, would see India begin receiving the S-400 from 2020. India joins China and Turkey as a forthcoming S-400 user. Deliveries to China had begun in January 2018. Turkey is preparing a site for a S-400 system, which it expects to begin receiving in 2019 (with operational readiness by 2020). Though known for its marquee, 400 km-range missile – the 40N6 – the S-400 is actually multi-layered, i.e. it covers short-to-medium and medium-to-long-range envelopes as well. This is done through the 250 km 48NG, 120 km 9M96E2 and 40 km 9M96E. In effect, the S-400 is a full-spectrum system, which is not only a versatile system, but it equips the S-400 to defend itself from low-level threats. These low-level threats will leverage coverage gaps resulting from the Earth’s curvature. However, the S-400 will cover these gaps through its low-level sensors and short and short-medium-range SAMs (e.g. 9M96E/E2). Pranab Dhal Samanta. “S-400 deal gives US a unique chance to spell out special relations with India.” Economic Times. 08 October 2018. URL: https://economictimes.indiatimes.com/news/defence/s-400-deal-gives-us-a-unique-chance-to-spell-out-special-relations-with-india/articleshow/66111287.cms (Last Accessed: 08 October 2018). Special Briefing. “Previewing Sanctions Under Section 231 of the Countering America’s Adversaries Through Sanctions Act of 2017 (CAATSA).” US Department of State. 20 September 2018. URL: https://www.state.gov/r/pa/prs/ps/2018/09/286083.htm (Last Accessed: 09 October 2018). Amanda Macias. “Turkey begins constructing site for Russian missile system — despite US warnings.” CNBC. 06 September 2018. URL: https://www.cnbc.com/2018/09/06/turkey-begins-constructing-site-for-russian-missile-system.html (Last Accessed: 09 October 2018).